The Pilates Barre Portland was founded by Mary El-Ebrashi in 2015. After she had her first child in 2006, a friend introduced her to mat Pilates to regain core strength. After the birth of her second child in 2007, Mary turned to private sessions to alleviate chronic back pain and abdominal separation. 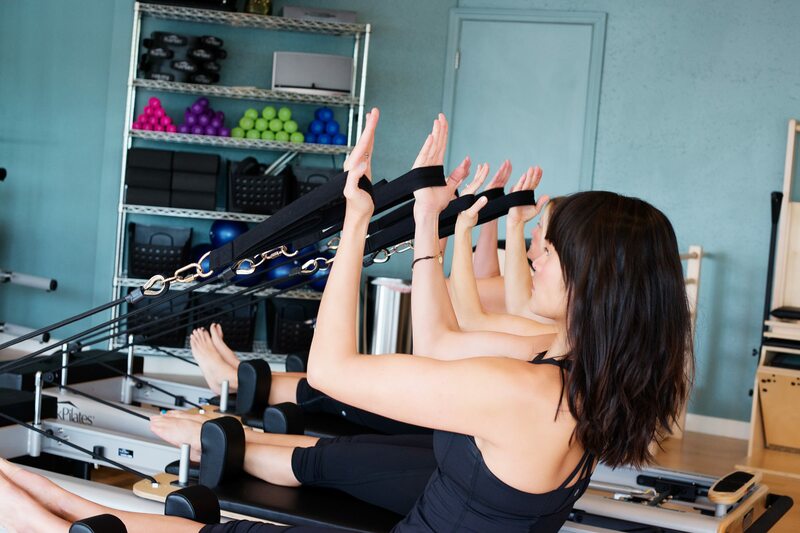 After 7 years of Pilates practice, Mary decided to become a certified instructor through Peak Pilates and Master Instructor Jessica Schultz, to share her passion for movement and to specifically open a studio in Hillsdale in SW Portland. Pilates provides an excellent medium for safe, effective, and efficient movement. Anyone can learn Pilates, whether they are brand new to movement or fitness, rehabilitating from an injury or surgery, or are a seasoned athlete. Not only is it a fantastic way to increase overall strength, stability, flexibility, range of motion, balance, and body awareness, it’s also a great outlet for stress and boosting mental health. Pilates helps correct muscle imbalances, improves posture, enhances performance, decompresses the spine, helps retrain bad habits into more efficient movement patterns, and helps prevent and treat injuries. All of our instructors share a love for fitness and movement, and for helping people become their best. We strive not just to teach a class, but to provide an experience in a supportive, positive environment. We invite you to take a class and become part of The Pilates Barre family!